The 3M™ P100 particulate filters 2091 can be used in a variety of environments containing certain oil and non-oil based particles. • Use with 3M™ Reusable Respirators 5000 Series or 3M™ Cartridge 6000 Series with 3M™ Adapter 502, 3M™ Respirators 6000, 7000 and FF-400 Series with bayonet filter holders. 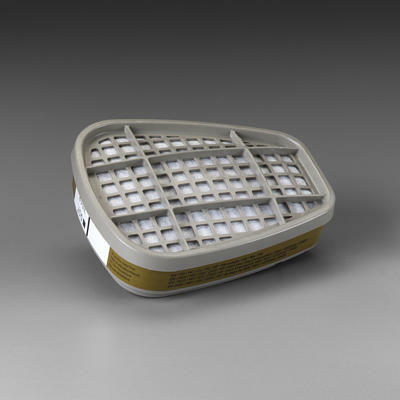 • Filters can be used in a wide range of applications, including: welding, brazing, torch cutting, metal pouring, soldering, and exposure to lead, asbestos, cadmium, arsenic and MDA for concentrations up to 10 times the Permissible Exposure Limit (PEL) with half facepiece respirators or 50 times PEL with full facepiece respirators.